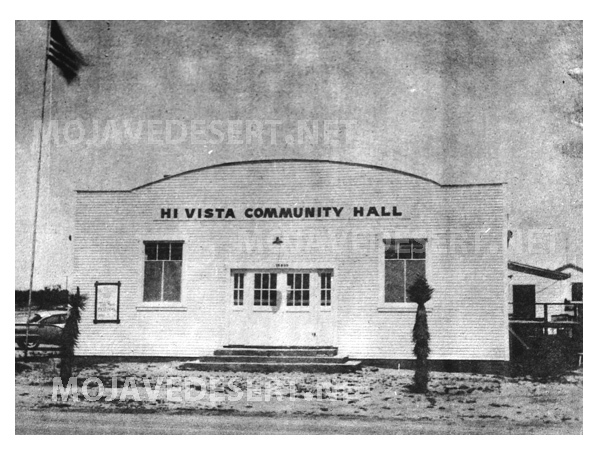 The tiny community of Hi Vista, located in the Mojave Desert northwest of El Mirage dry lake, is a shred of what it once was and that being a shred of what it could have been, I suppose. 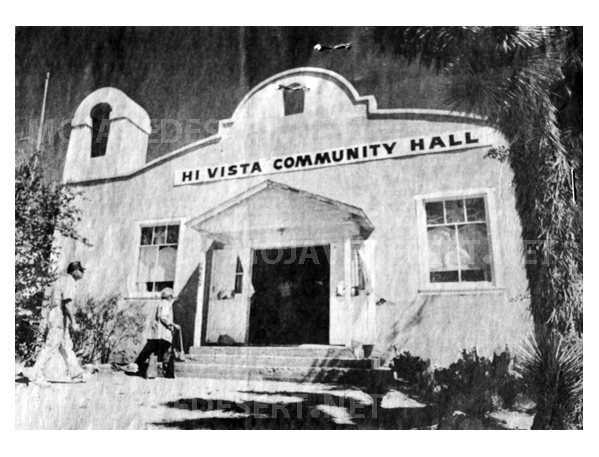 Hi Vista Community Hall in an early phase of life. 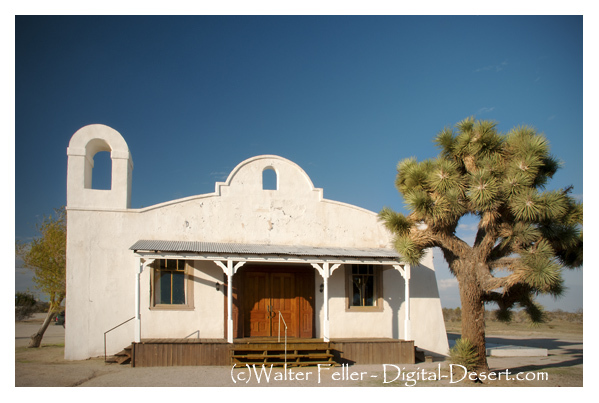 Although the little hall was in a quiet and remote location, it was quite plain. 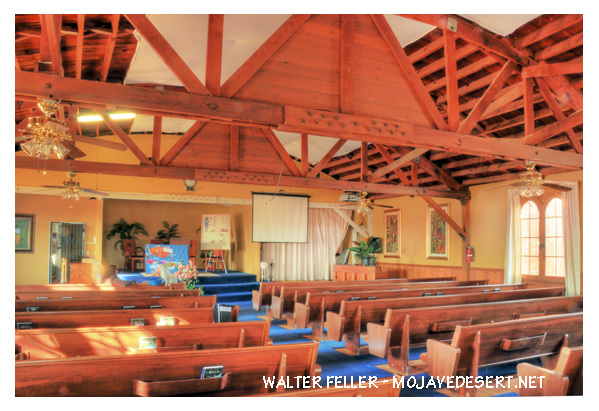 A cover over the entry, a faux bell tower and a mission-style decoration were added to make it appear as a Catholic church for the movie, True Confessions (1981), with Robert Duvall and Robert De Niro. Over twenty years later when the movie Kill Bill (2003) came along, the hall was due for and given another facelift — a wood porch and cover were built on. The hall in its most pristine condition. Note the Joshua tree on the right has appeared, at least in part, in each shot. This is visual proof that Joshua trees grow considerably faster than once thought.